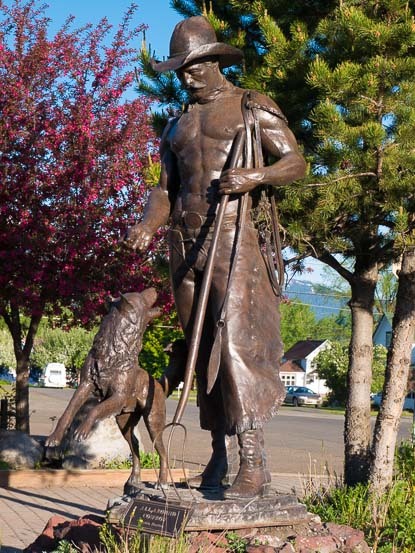 Born in 1927 and sadly passing away on 2/28/2017, Austin Barton was raised in the Snake River and Wallowa Valleys of Northeastern Oregon. Breaking horses and working on farms and ranches, he acquired an intimate knowledge of the western way of life. He earned a living in those days, but even as a young boy, Austin’s dream was to become an artist. Austin's love of the west is reflected in his work and by nature he is drawn to sculpt images of the American Cowboy and their Horses. 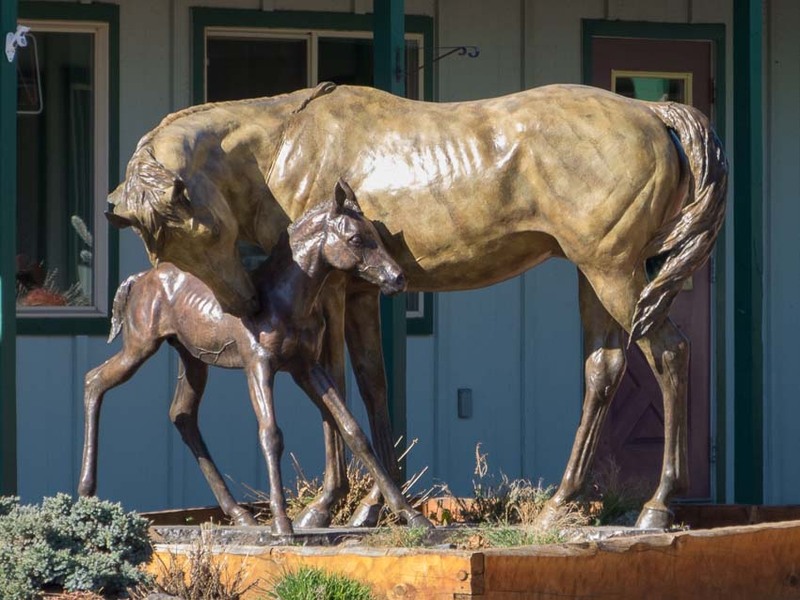 Austin has three monumental life-size sculptures and one half-size sculpture along Joseph's Main Street; three are permanent and the one above, 'Baby Steps' is on loan. See more of his work at Kelly's Gallery. Austin's work followed the work of Remington and many think even going beyond, improving on this Iconic American Master's work. His sculptures are by far the most photographed of those in the Artwalk. "Coming into Joseph, I can't help but to compare what it was like when I was a kid growing up there. At that time I never even imagined I would have Bronze Statuary on the streets; the thought never even entered my mind. The traffic was so different back then. The streets were so empty after 4:00 on a weekday, you could shoot a cannon down Main Street without hitting anyone. Things were only a little livelier when the farmers & ranchers came to town on weekends. The 'Attitude Adjustment' monument stands on the corner of the block where Duncan's Livery Barn stood. I used to start my colts in the corrals out back, and ride them there until I got most of the 'buck' out of them. 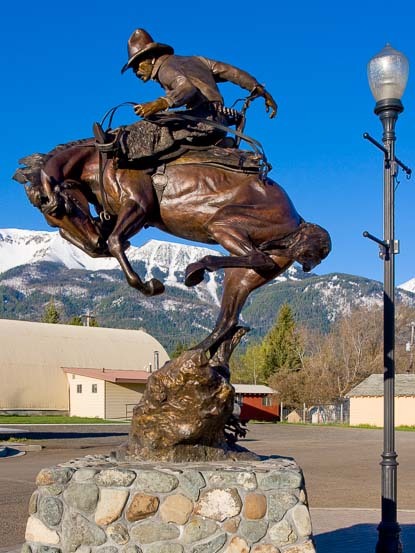 The memories of the Old West are still there & I am proud to have been part of that area and equally proud to be able to contribute to the atmosphere of Joseph with my sculptures of the Western Way of Life."